La Plata is the capital of the province of Buenos Aires, and marks the Southern edge of the metropolitan area. It has a population of about 735.000 (including the Greater La Plata, with Berisso and Ensenada, where the port is). Being the seat of the provincial government there is great administrative activity and the city is also an important commercial and financial center. There is around the suburbs an important industrial activity. Some of the outstanding plants are the steel mill SIDERAR, the Repsol-YPF oil distillery, the Río Santiago shipyard, the COPETRO petcoke plant and several petrochemical plants. In the outskirts of La Plata there is also a belt of horticultural production. There are good road connections with all the province and a freeway joins La Plata directly with Buenos Aires. It has railway connections with the Nuevo Central Argentino, Ferrosur Pampeano and Buenos Aires with the Pacific. There is an airport served by domestic flights and the Buenos Aires airports (domestic and international) are 60 km away. The port of La Plata is under the administration of a consortium (Consorcio de Gestión del Puerto La Plata), and is actually situated at the adjoining towns of Berisso and Ensenada where an important shipyard, a steel mill, an oil distillery and a free zone are located. The Naval Academy is situated on the north side of the river. Annual movement was in 2011 about 94 ocean going vessels and 770 coasters, handling about 4,21 million ton (exports 720.000 ton) of cargo. The port installations are principally: 1) The Grand Dock. 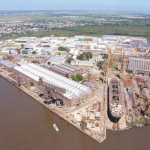 2) The Siderar steel mill berth at Puerto Rocca situated 5 km upstream on the Santiago River. 3) The La Plata free zone berth, where trucks, cars and containers are disembarked. Additionally on the south side of the river, adjacent to the abandoned grain elevator there is a berth for vessels to lay by. Ships waiting to enter this port anchor at ´B´ sector of nearby Zona Común, about 3,5 n. miles off the breakwaters. Those vessels lightening cargo wait at the appropriate zone. Water levels are influenced by the semi diurnal tides and wind effect. Usual tidal range is about 3/4 ft which can be increased or decreased by wind effect. Access channel 60 m width dredged to 8,54 m (28 ft). At the intersection of Río Santiago and Grand Dock (Cuatro Bocas) where vessels swing on entry, depth is 8,50 m(28 ft). 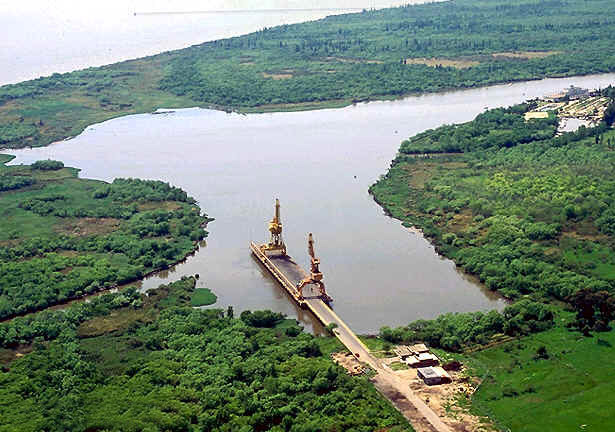 As said, plans are to dredge Access channel and 4 Bocas to 10,40 m (34 ft). At Puerto Rocca, the Access channel has not been dredged for a long time and no official sounding reported. Also, no dredging Works are scheduled for the time being. All above depths are at datum and heights of tide may be added when applicable. Entrance channel subject to silting/dredging therefore acceptable draft alters from time to time. a) Entry/Sailing: 24 hours allowed; exception made in case of more than 30 m beam, restricted to daylight. b) Subject tugs with adequate bollard pull available. c) Wind speed not above 25 km/h. d) Underkeel clearance to be mínimum 1 ft at all times. Entry, departures and shiftings are monitored by Contrase PNA. All vessels, except those boundf or Puerto Rocca, are required to berth bow out i.e. 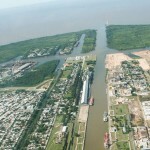 facing the River Plate; inbound vessels being normally swung at the intersection of the Access channel and Río Santiago (Cuatro Bocas). The Río Santiago from Cuatro Bocas (4 mouths) to Puerto Rocca is unlit and therefore night Navigation is not possible. Tank cleaning or gas freeing is forbidden within the port area. All tankers must abandon port once they have completed cargo operations.´Hot work´ repairs must be authorized by the PNA. V.H.F. PNA on Ch#9 – 12-14-16-77 (L5F La Plata Prefectura Naval Radio), Agencies, Pilots, pilots´ launch, tugs(Ch#10). 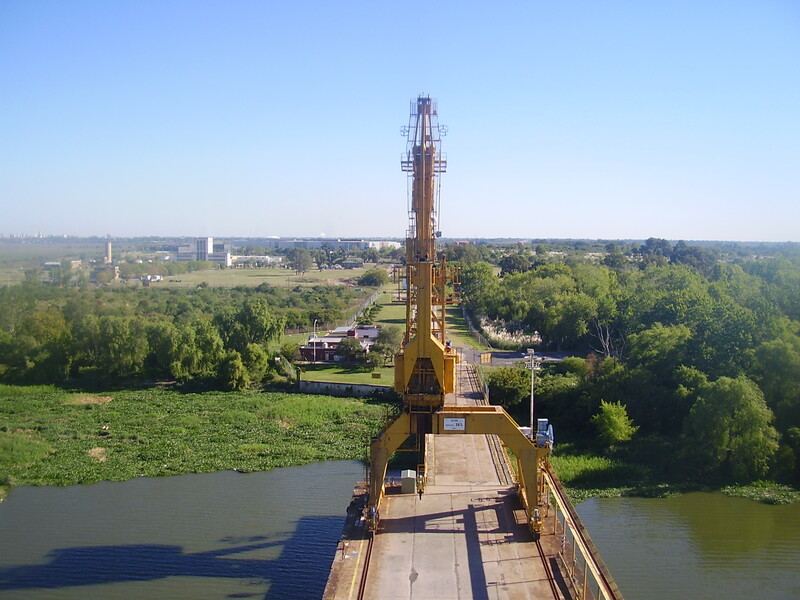 La Plata Port pilot services are requested from local private companies. Change over of Pilots from/to various river destinations, also Buenos Aires, takes place at Zona Común off La Plata. Various pilot launches operate from the east side and Astillero Rio Santiago wharf. Buenos Aires port pilots, also river Pilots are all requested from the various pilotage companies at Buenos Aires. a) Vessels of less than 52,5 m LOA are exempt from using tugs. b)Vessels of LOA 52,5 m to 84 m that can swing without assistance in the turning basin at the head of the Grand Dock may enter and sail without tugs, otherwise one tug is to be used. c) Vessels of LOA exceeding 84 m shall use 2 tugs entering and sailing. Twin screw vessels of LOA up to 105 m or vessels of up to LOA 115 m fitted with bow thruster may enter and sail with one tug only (The above includes the 5% tolerance permitted by PNA (Coastguard). Available at Ensenada Private Clinic and the Provincial Hospital with several first class hospitals and clinics at La Plata, 10 minutes away. Various three Star hotels at La Plata and Ensenada close to port area. Can be supplied at tanker berths within the “Grand Dock” directly from shore pipe-lines by YPF oil company. At grand dock (berths 7/8 Copetro) no bunkers allowed. At berth 9 (open berth) bunkers must be supplied by road Tankers only. For security reasons bunkering is controlled by PNA (Coastguard) who must be given at least 24 h preadvise. 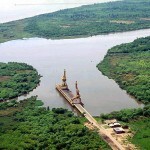 At puerto Rocca bunkers should preferably be supplied by barge due to cargo congestion on the quay. From private firms and fire-fighters divers, licensed by PNA (Coastguard) are available. Shore electricity: Can be arranged via Port Administration, within certain limitations (220/380 V) and as per standing tariffs. Rubber fenders at berths 8 and 9; at tanker berths, if needed, can be supplied by prívate firms. Puerto Rocca berth has fenders on the quay. Both the Oil Company YPF and PNA have appropriate equipment to combat fires from either shore or river side. Nearby fire brigades can also assist (Ensenada and Berisso). Within ´Grand Dock´, exception made at YPF berth, fresh wáter can be supplied by pipe-line at a delivery rate of about 15 cbm/h. For vessels berthed at Puerto Rocca Water must be supplied via tugboat of up 70 cbm, delivery rate being about 25 cbm/h. Services are available for fumigation of cargo spaces or accommodation. Compulsory for all vessels over 2000 GRT. Withdrawn by the Port Administration. Service must be requested with 24 hours anticipation. None available from local Port Administration and if required must be contracted from private firms. Available, subject to port statute time limits. An open 8 hectares area for imported vehicles and other mobile machinery. 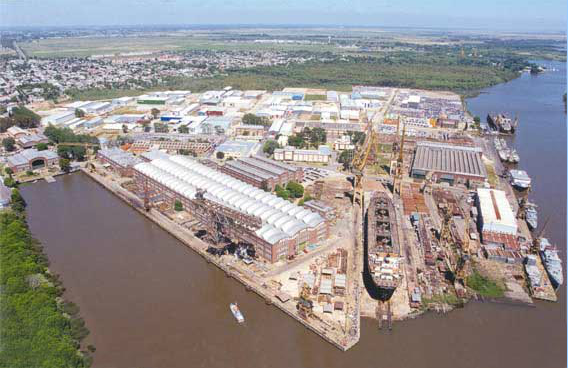 Minor repairs can be carried out by several local workshops whilst local shipyard (Astilleros Río Santiago) is available for important repairs; otherwise naval repair firms available from Buenos Aires. 2(two) private gangways for rent. Can be received ashore at those berths operated by YPF subject to available space in shore tanks, or by truck from private firms. Discharge of sea water ballast at tanker berths should be avoided, since distillery suction line for cooling and purifying purposes are nearby. 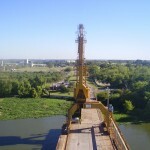 Vessels should change ballast whilst in River Plate Waters, if necessary. Al other berths deballasting can be performed after chlorination treatments. Can be obtained locally or contracted from Buenos Aires.